This privately held real estate development and construction firm approached us with the need to create a brand for their newly established company. Lead by a team that has acquired close to 70 years of industry experience, the firm required a brand that instilled this professionalism and expertise. First, we conducted exhaustive research about the metropolitan construction and real estate industry in order to tactically define the target audience. Using this research as a foundation, we developed a strategy for the brand proposition. This was a critical step, since it drove the creative approach for the company name, tagline, logo, stationery and website. Once we had established a strategy, we used it as a springboard to create the name, tagline and logo. A cohesive, effective brand and identity is essential to developing company perception, differentiating a firm from its competitors, and powering its longevity. Captivating brands create an instantly recognizable, unique, professional image that can catapult a company to success. Our research indicated that most of this firm’s competitors leveraged the principal’s name within the title of the company, in a similar fashion to law firms. We saw this as an opportunity to to a different direction: establishing a company name that was unique and that stood out in sea of competitors. After many hours of brainstorming, we gravitated toward CrownPoint because of the very definition of “crown”—symbol of sovereignty, power, and achievement; and “point”—highest point, apex, and summit. 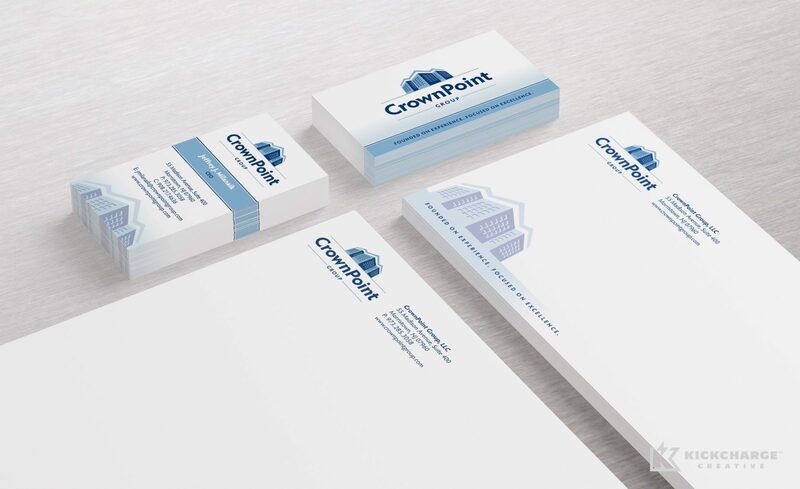 Following the name development process, we created a tagline that further differentiated CrownPoint Development Group and jump-started the logo. As you can tell, there are many elements that come together to create a company’s brand. These elements, alone, tell part of the company’s story and brand proposition. When integrated, they are especially powerful. CrownPoint Development Group is a great example of this. The name, tagline and logo are individual puzzle pieces that, when combined, create a synergistic picture and brand story. 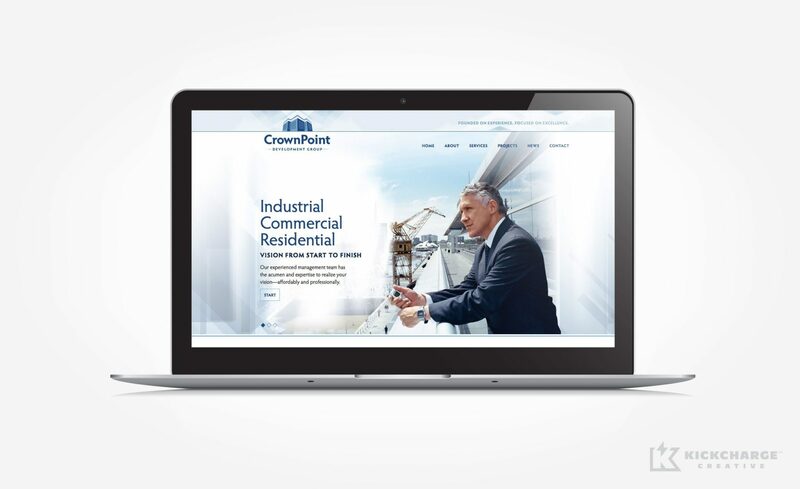 Finally, we brought the new brand to life through a professional, clean and user- friendly website that provides detailed descriptions and awareness about the company’s core values and services. We carefully refined the content to complement the brand voice and effectively tell the firm’s story–while being mindful of search engine optimization keywords.